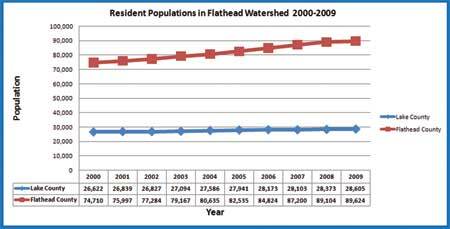 There are numerous “engines” of growth in the Flathead Watershed, an economy characterized by transition and diversity. Historically this was a natural resource-based economy driven by logging and agricultural production such as livestock and crops. Growth followed in the manufacturing sector, particularly in wood products and the aluminum refinery. In the last couple of decades there has been a distinct decline in agricultural income, and growth has shifted toward the service sectors, including tourism, education, healthcare, construction, and retail. 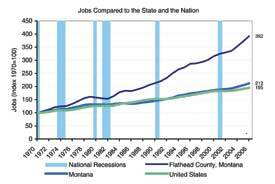 The decline in agriculture led to a rapid conversion of farmland for high-value real estate development and a change in employment rates, earnings, and sales. 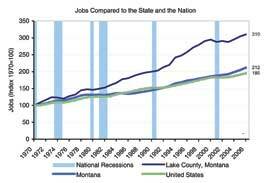 Since 1980 the services sector has nearly tripled, and retail enterprises have more than doubled. 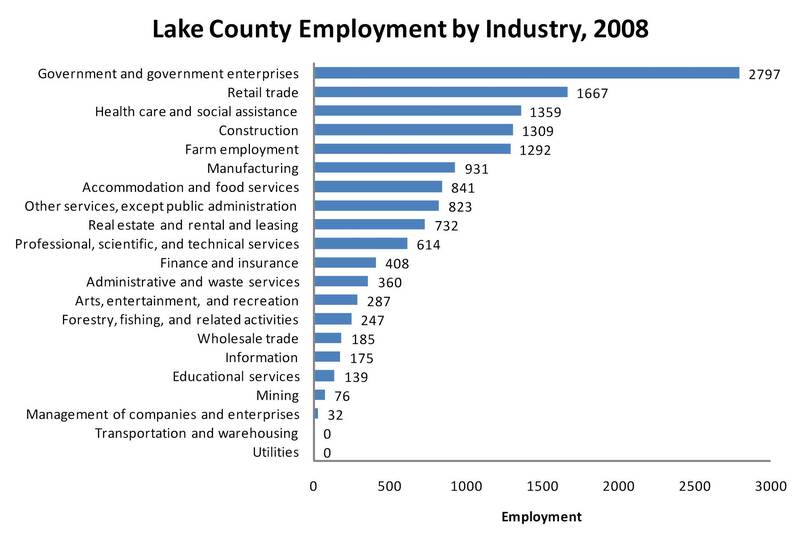 Small businesses and technology companies have also found a home in the Flathead Watershed. 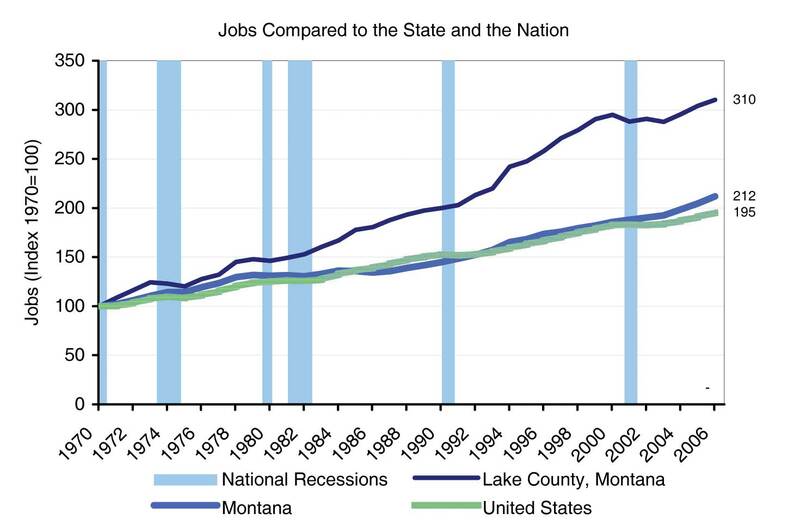 This underlying shift in economic thrust is due in large part to the appeal of the local geography. The high quality rivers and lakes, over two million acres (809 thousand hectares) of forests, numerous year-round sporting activities, a variety of federal, tribal, state and local parks and recreation areas, and the abundance and diversity of wildlife, all provide a desirability offered by few places on earth. 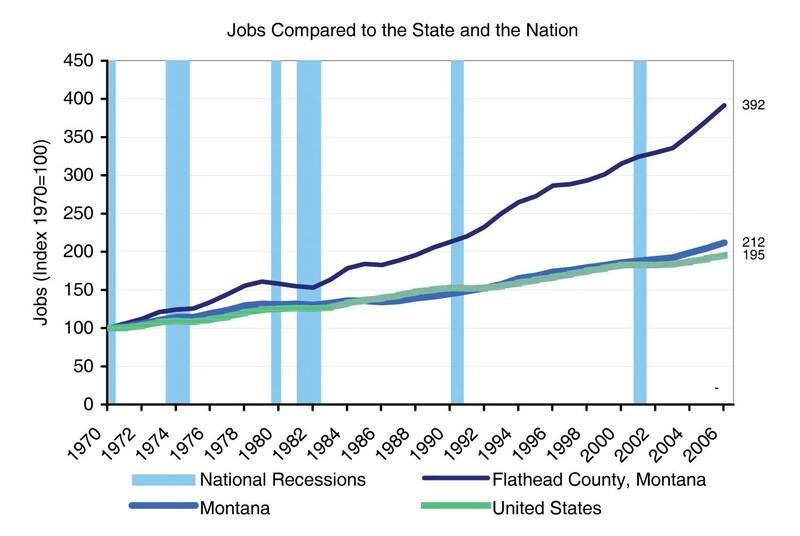 In the future, agriculture, forestry, manufacturing, and city, state, tribal and federal organizations will continue to provide a solid base in the economies of the Flathead Watershed, but it is clear that the services and retail sectors will play an increasingly dominant role. 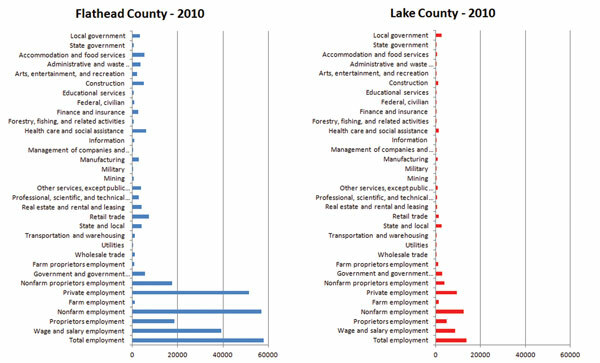 Populations nearly doubled in both Lake and Flathead counties from 1970 to 2006, during which time Lake County saw employment triple and Flathead County saw it nearly quadruple. 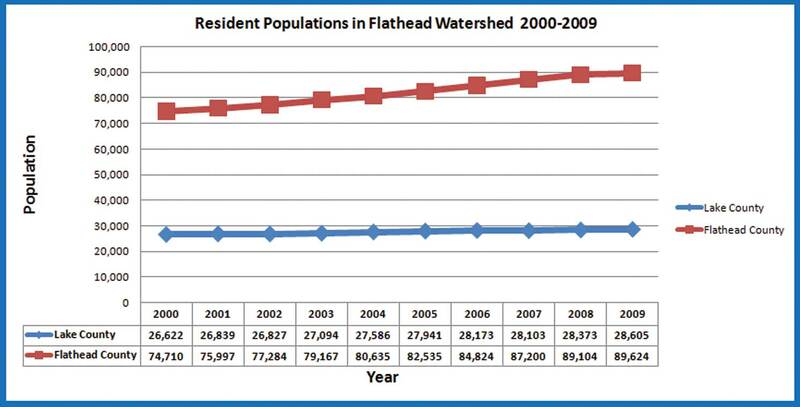 The population in Lake County grew 8% from 2000 to 2009 and 20% in the same period in Flathead County.